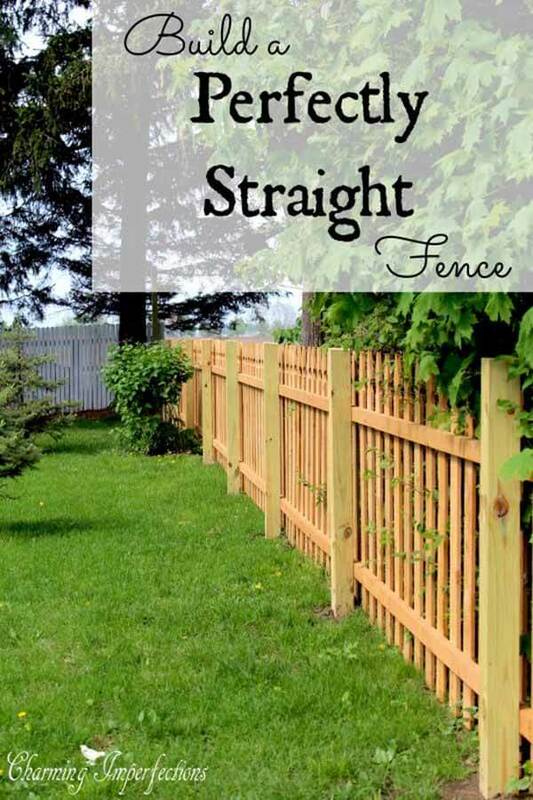 With so many fence styles you can choose from, you should consider several factors. Be aware of your own skill level and available tools. 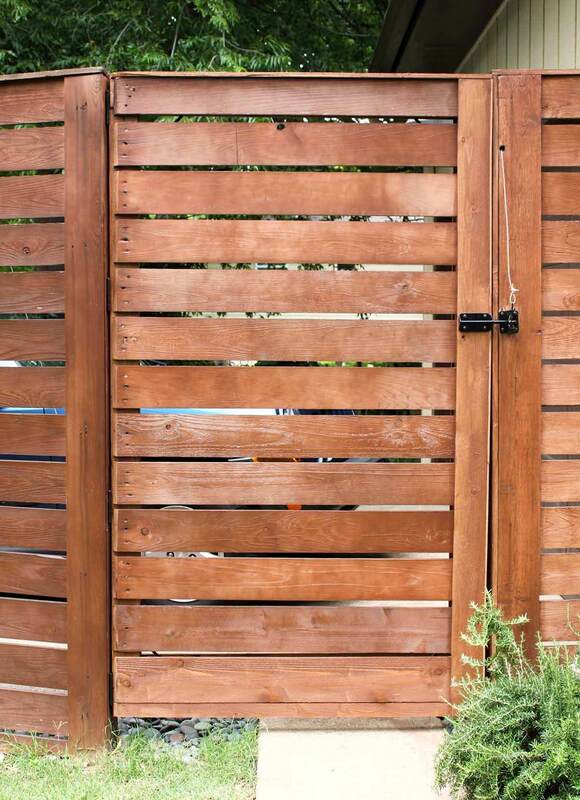 Even a basic wooden plank fence can be functional and beautiful, but more complicated projects that incorporate complicated angular cuts or recycled architectural elements are possible if you have the know-how and the right equipment. You should also consider your climate and neighborhood. 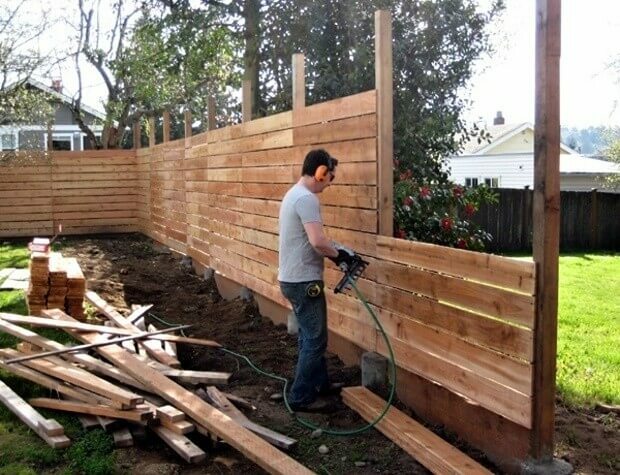 In some states, a wooden fence may deteriorate quickly, and a metal fence or block wall may be a better choice. Some county building codes or home owner’s associations may also determine what type of fence you can build. 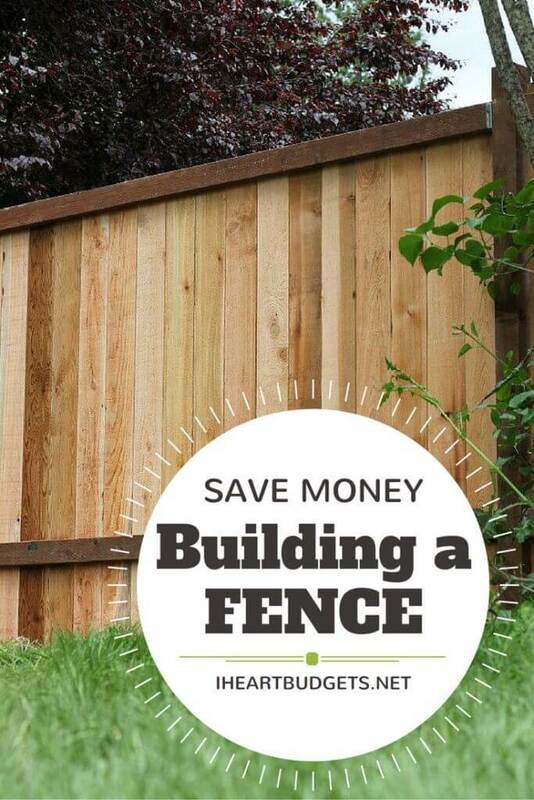 Finally, your choice of project may depend on how many feet of fence you need and the price of materials. 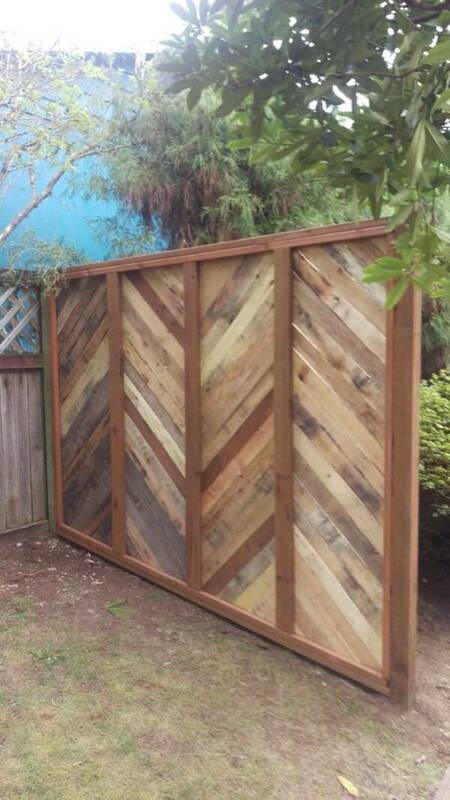 If your budget is tight, free items like pallets can be recycled into an attractive wooden fence. 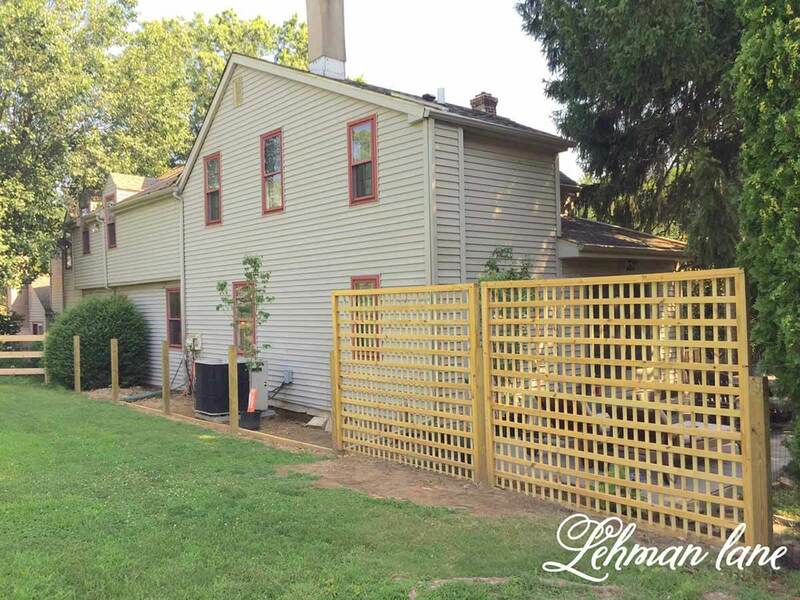 The 24 do it yourself fences featured below offer a look at the variety of projects you can build in your yard no matter your budget, previous experience, or location. A wooden design adds a rustic appeal to any home, but the metal posts allow a measure of sturdiness. It’s ideal for both security purposes and for anchoring. Too often, people in windy or storm-prone areas find their fences torn up because they weren’t anchored properly. The layered slats of wood give the design a visual texture, but their placing also increases homeowner privacy. The fence adds such an interesting element to the garden. It protects the garden from prying eyes, ideal especially if you’re growing vegetables you don’t want to be stolen. 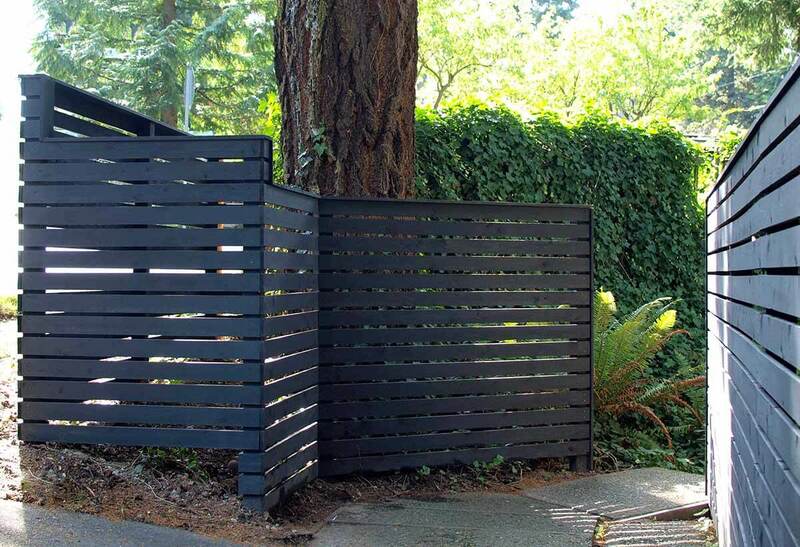 The black coloring matches the rest of the property, ensuring that the fence doesn’t look out of place. It’s congruent with the overall design of the house. What a cute fence! 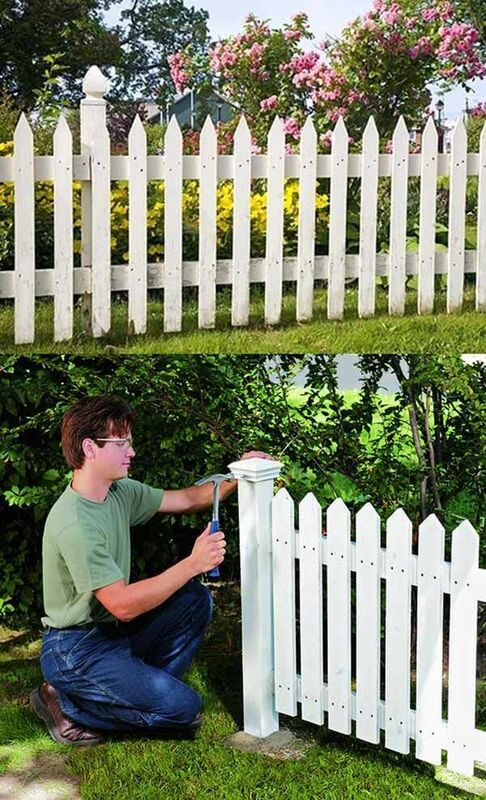 Whether you’re remembering Tom Sawyer or trying to emulate your perfect fairytale cottage, a classic white picket design adds just the right touch. These kind of designs are easy to construct and add a cheerful touch to any yard. 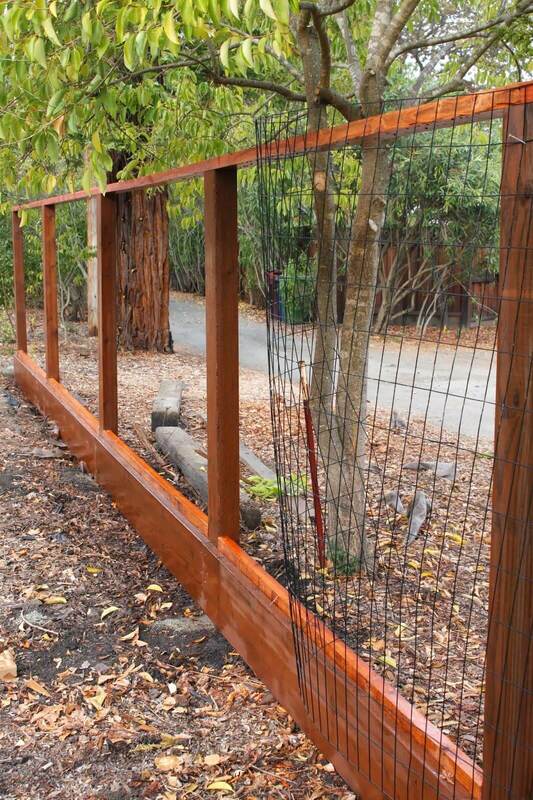 Waist-high fences can keep out unwanted critters while allowing you to wave to your neighbors. The design is so sleek and interesting, we can’t stop looking at it. Check out the way the wooden slats are spaced with just the tiniest gap between them. They look like the interior of a modern building, evoking wooden room partitions. What a visually striking addition to making to a yard, greenhouse, or zen garden! This is a character-driven design and one of the great things about it is the way it is constructed in panels. 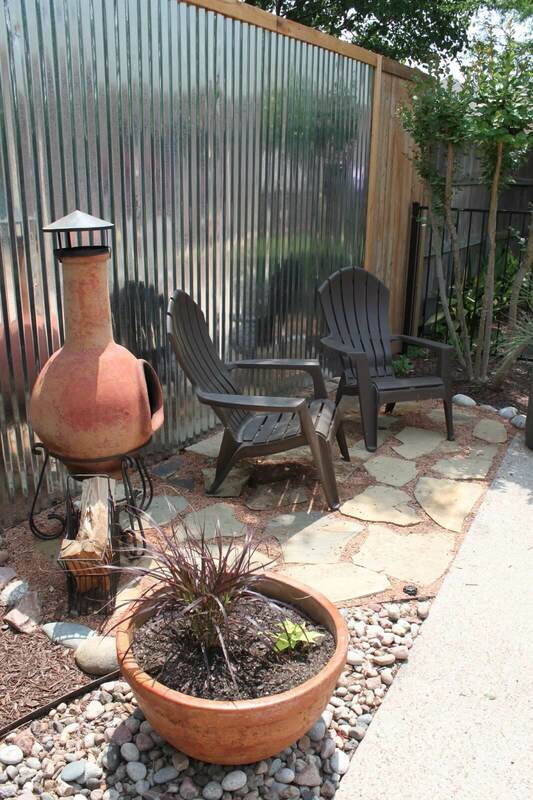 The homeowner can “wrap” the differently sized panels around their garden or yard. It’s perfect for properties with irregular shapes! The black framing is striking against the finished wood, and the slats allow increased privacy for the homeowner. What a gorgeous, creative solution to a common problem! Chain link fences are practical, especially when you live in areas with high vandalism rates or wild animals. But they’re also not very pretty. 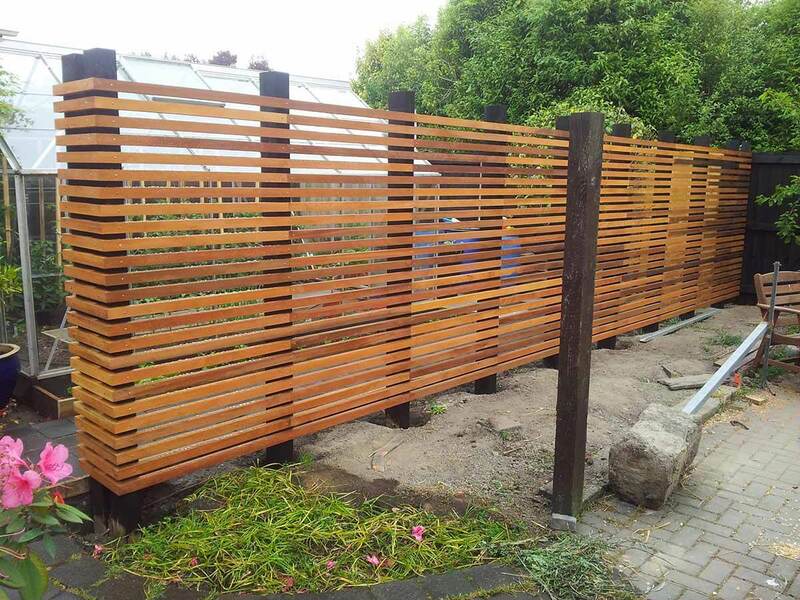 The roll-out bamboo design is highly adjustable and wraps around the entirety of the fence. It brings a little bit of China into your backyard, and it’s a great way of adding character to your property. Another creative idea! The shutters for your house eventually need to be replaced — why not recycle them instead of throwing them out? 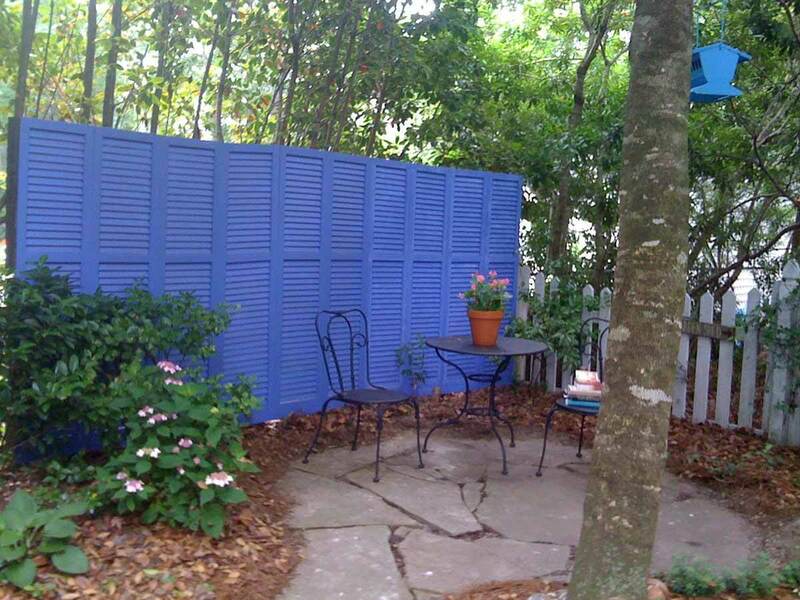 There’s an added bonus here: Using recycled shutters means that your fence will always match your home’s trim. It’s an easy project that allows you privacy and a pop of color. What an interesting way to spice up your patio or another outdoor living area! On sunny days, the brightness is probably intense here. The fence makes use of industrial corrugated metal. 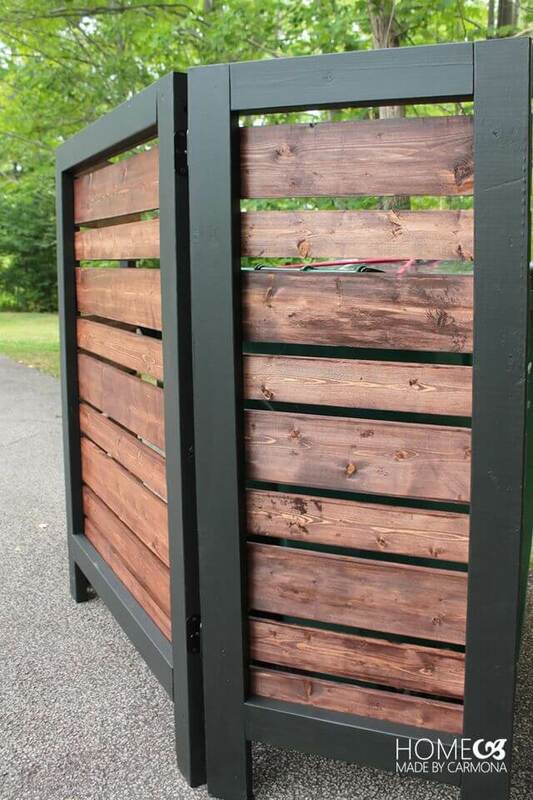 You’d never expect to see a DIY fence made from corrugated metal — and you’d never expect it to look this great! Sometimes sweet and simple is the best way to go. It makes use of panels and simple latticework. Despite the simplicity of the design, the wooden fence adds to the charm of the home. It matches the home’s rustic aesthetic and completes the yard. The latticework also allows people to see through the yard while having some privacy. It looks so professional no one would ever guess that the homeowner had put it together themselves! It’s a take on traditional fences, with polished wooden slats built into a wall and supported by crossbeams. The different grains of wood add a pleasing texture to the visual. Bamboo is such an ideal material for DIY construction. 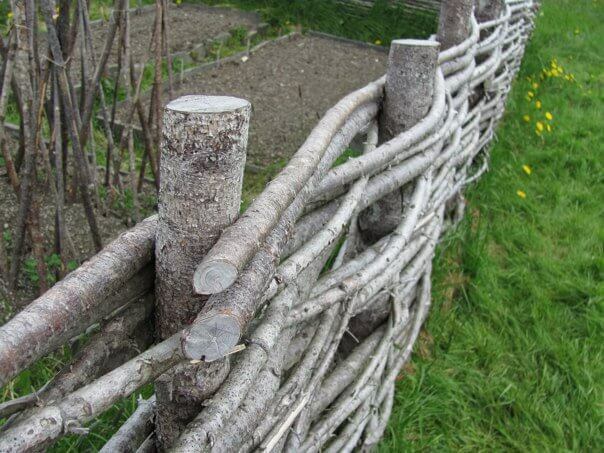 It’s more bendable than wood, and the stalks can wrap around your yard like fabric rather than adhering to stiff guidelines. The bamboo design adds just the right touch of nature to the sleek white patio area. It contrasts especially well with the grass and plants. 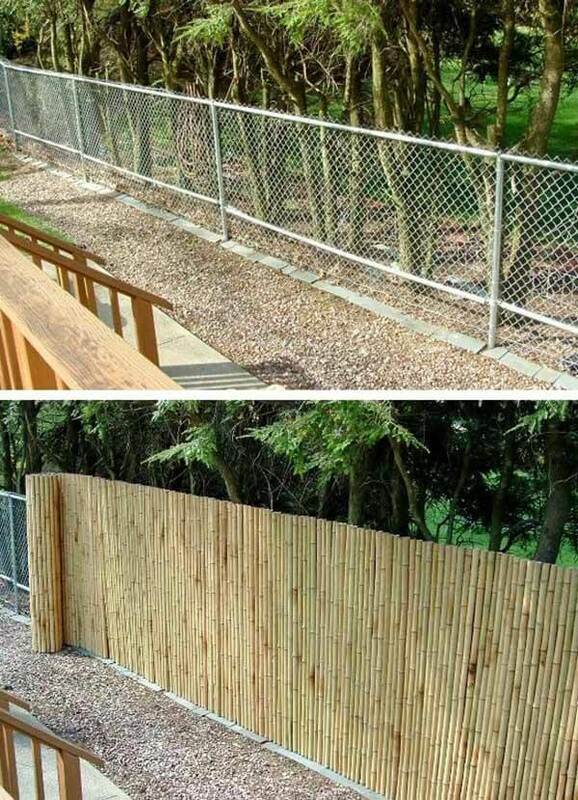 The homeowner took DIY construction to the next level: Not only did they build the fence, but they stained it as well! Stains can darken the wood or other construction material. They can also provide some level of protection and sealing against the environment. The care definitely pays off with the design, which is finished with a burnished and natural look that perfectly complements the yard. The picket design looks like the traditional ideas of our childhood dreams. It’s such a nice and simple way to partition your neighborhood. The posts are anchored well in the ground, and the wood has an almost peachy color that adds a layer of brightness to the yard. It’s a space that evokes childhoods spent reading or climbing trees in the backyard. 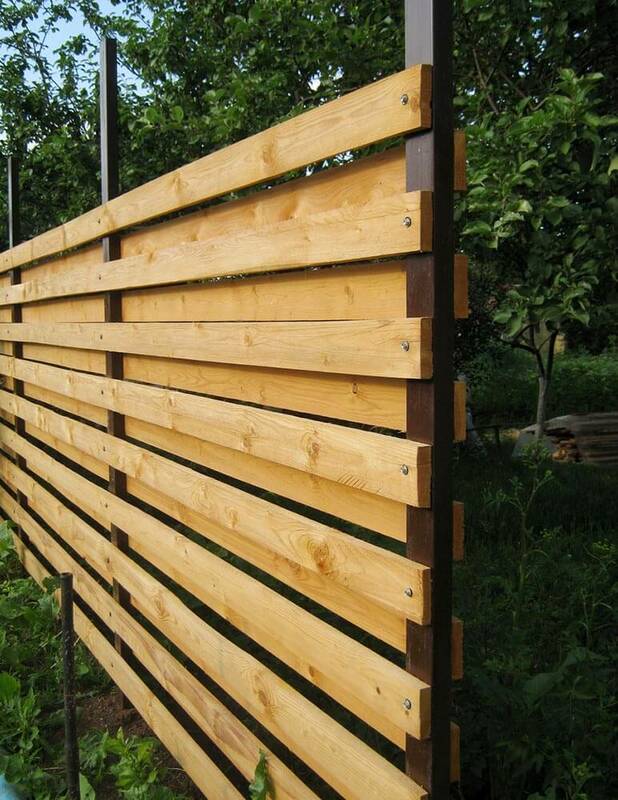 The beautifully constructed plank fence is made out of cedar wood. Though we can’t see the whole design in the photo, it looks like the homeowner may have made the construction paneled. Paneled designs are a great DIY project because the panels can be easily constructed on the ground. Cedarwood is such a charismatic wood to use, and the effort certainly pays off here. The slats offer privacy without fully blocking sunlight, and the grainy texture of the wood is beautiful. 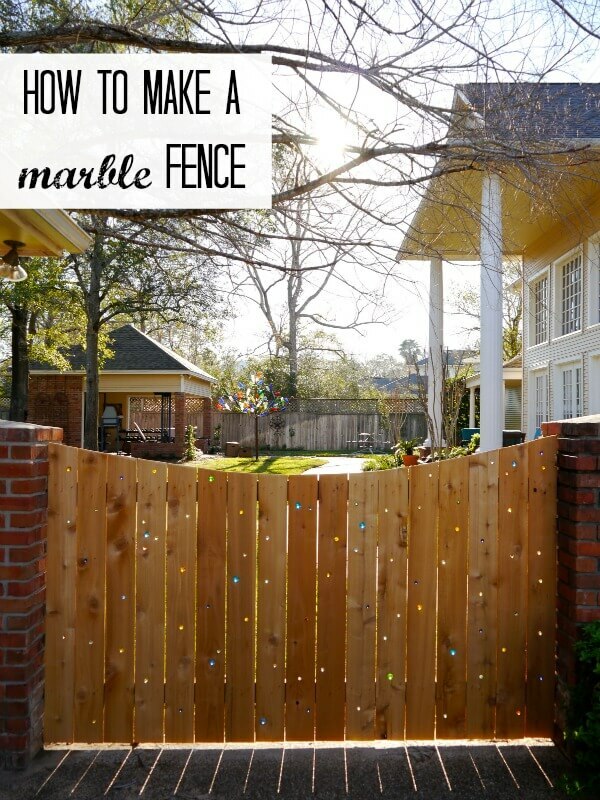 Another brilliant tip for people with a less-than-appealing fence! 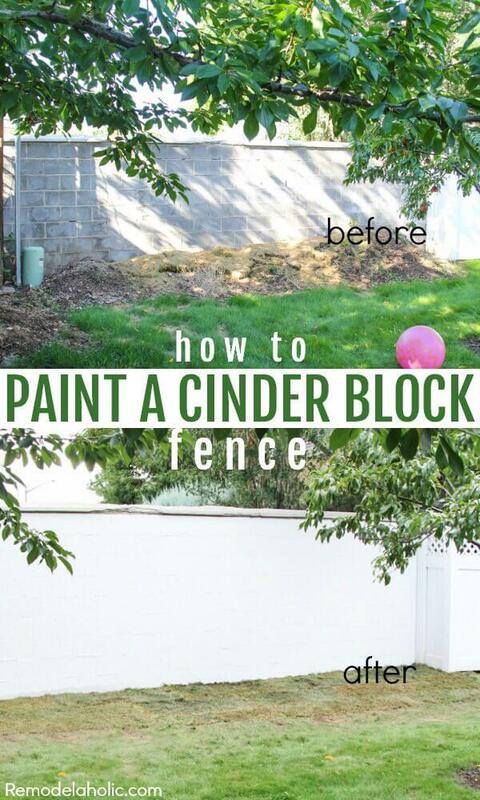 The homeowner covered their cinder block fence in a thick layer of opaque white paint. It’s improved the look of the yard so much, lending the entire property a more cheerful and bright air. With the thick paint coating, you can’t even tell that the fence is made from cinder blocks. Imagine what you could do with a pop of color! Cedarwood is one of the highest quality woods to build with, and cedar fences always have a special “deep woodsy” shine to them. The design looks like it’s about eight feet tall, possibly constructed in planks. It couldn’t have been done better by a professional. And look at that gorgeous pool! Phew, we’re jealous. Another DIYer manages to redefine our expectations when we think about recycling. The homeowner has made a unique design by combining their bi-fold doors with wooden planks. Bi-fold doors are most often found in closets. The homeowner has broken the pieces apart, removed the hinges, and inserted slats in between. It’s such an interesting and futuristic look that you don’t even notice the slatted piece is made of repurposed closet doors. 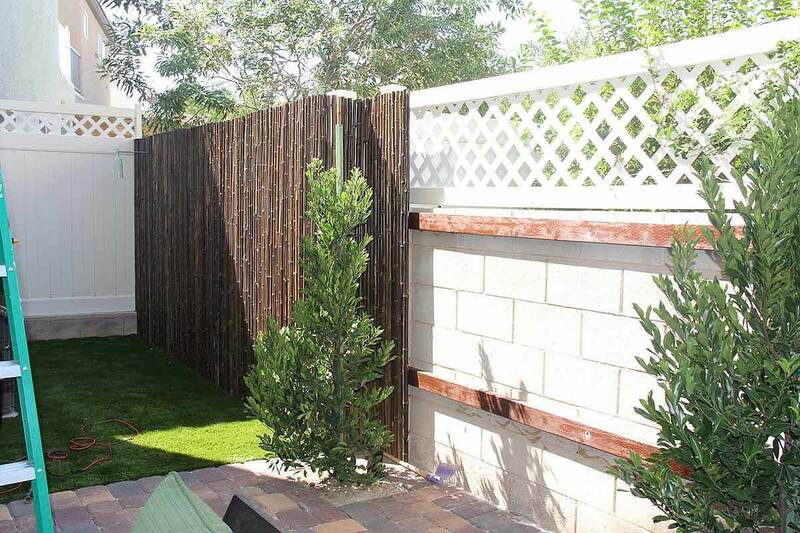 The homeowner has made use of the panels by incorporating them into the fence’s overall design. 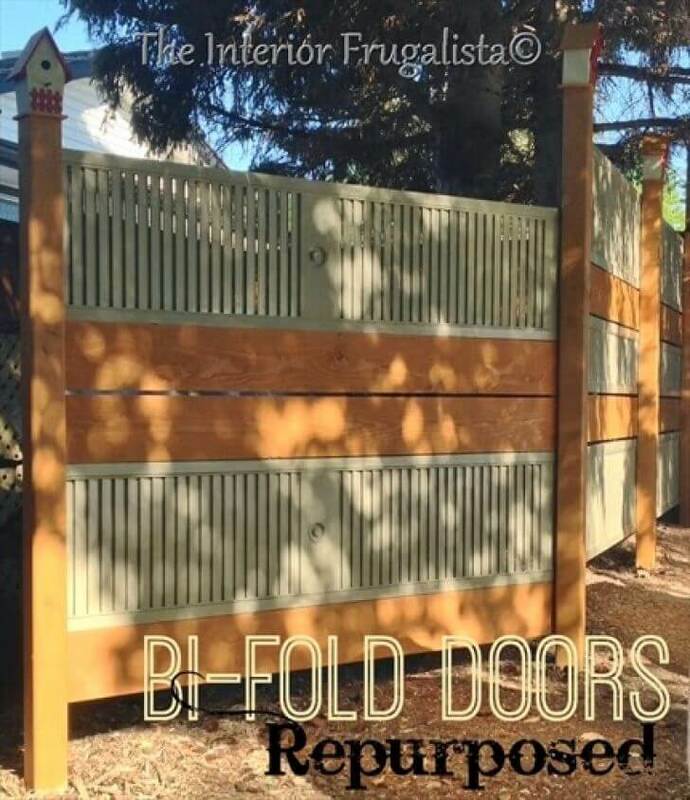 Not only are panels easier to install, but they’re an integral part of the structure! The wooden frames are perfectly spaced and lend an aura of openness to the entire structure. Meanwhile, the wrapped wiring helps protect your yard while affording maximum visibility. And look at the gorgeous finishing on the wood! So shiny. We’ve never seen anything like this before. The design looks like something out of a fantasy novel, like a border around an enchanted kingdom. The homeowner has used raw birch wood to weave branches between tree trunks. The tree trunks serve as posts. It’s perfect for rural properties or people who want a little piece of a fairytale kingdom. The panels of the design are spaced just wide enough to make their installation easy. What pretty framing! The diagonal formation of the slats is another nice touch that adds another layer to the overall aesthetic. The different colors and textures of the wood give the whole thing a natural feel. One tiny detail that’s easy to miss — the little indentation running around the overall framing. It’s such a subtle and pretty touch that really shows that the DIYer went the extra mile. Here we have a photo of a DIYer in their natural habitat! The design emulates many of the other plank fences on the list, but there’s something special about seeing the homeowner at work. Each slat is so carefully measured and placed. It’s also not easy to work vertically, so huge props to the homeowner! The wooden planks help define the property line and add privacy, but the material has a gorgeous organic finish. 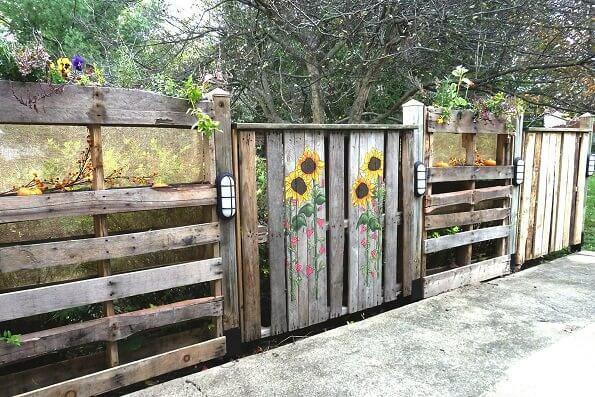 This unusual fence is made from recycled wooden pallets. You did a double take, didn’t you? Don’t worry: we couldn’t tell they were wooden pallets either. They look exactly like pre-cut posts. The homeowner is clearly an artist, painting gorgeous sunflowers and bright plants over the construction. It’s a great way to add a little sunshine to a yard, especially in the winter months. Be honest: You gasped a little bit when you saw this, didn’t you? The multicolored effect emulates the stained glass you’d find in a church. But the design is made using marbles rather than glass, which cuts the price tag by uncountable amounts. It’s a gorgeous and whimsical way of emphasizing the entrance to the house. You can tell that the homeowner cares about beauty. 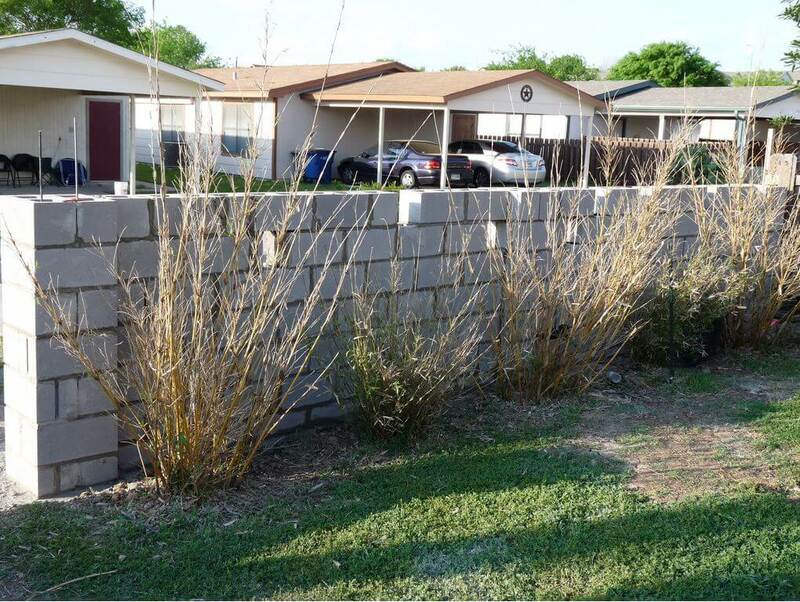 Anybody can pile concrete blocks together, but who would have thought it would look so good? Reinforced designs are a great idea if you live in a potentially unsafe neighborhood. The DIYer manages to make theirs look like the edge of a castle wall rather than an eyesore. What a pretty touch!